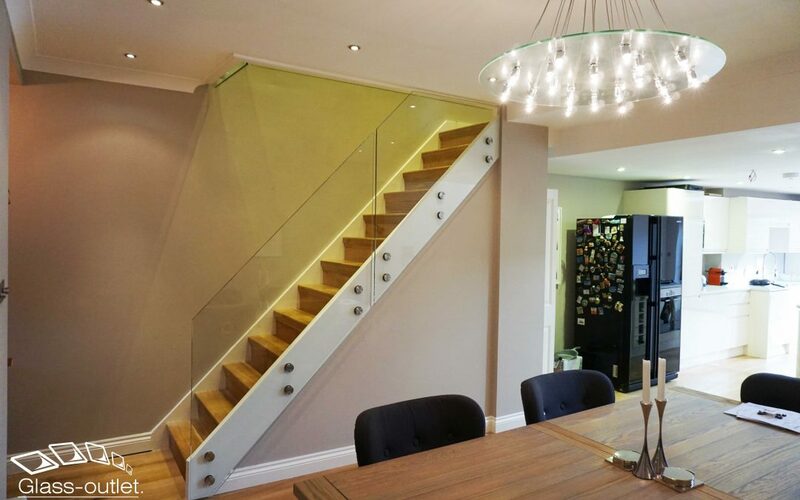 Our recent installation showcases the going trend in stair balustrade glass. The glass is entirely frameless with fixing points on the base of the glass. It provides a stunning clean look to the interior and most of all easier to prepare the area ready for the glass installation, just need a thick wood on base. Made from 12mm thick toughened safety glass with corners rounded for safety, provides optimum strength and safety. Different glass types can also be incorporated such as tinted glass or crystal clear glass if you wish to go for something a bit different. Please contact us for more details.